You may or may not be familiar with All Hallow’s Read, a new book-centric holiday tradition invented by the genius Neil Gaiman. Last year, the illustrious Mr. Gaiman decided that there were far too few excuses to put books in others’ hands, and so put together this delightful, globe-spanning event. This year, we decided to participate in the holiday and invited Ana of Things Mean a Lot and Megan of Forever Young Adult to play. While attempting to disprove that Homo vampiris, the vampire, could exist, Dr. Warthrop is asked by his former fiance to rescue her husband from the Wendigo, a creature that starves even as it gorges itself on human flesh, which has snatched him in the Canadian wilderness. Although Warthrop also considers the Wendigo to be fictitious, he relents and rescues her husband from death and starvation, and then sees the man transform into a Wendigo. Can the doctor and Will Henry hunt down the ultimate predator, who, like the legendary vampire, is neither living nor dead, whose hunger for human flesh is never satisfied? This second book in The Monstrumologist series explores the line between myth and reality, love and hate, genius and madness. Why did we recommend this book: The Monstrumologist series is one of Thea’s favourite and since we know Ana loved the first book in the series, what could be better than presenting her with the second one in the series? 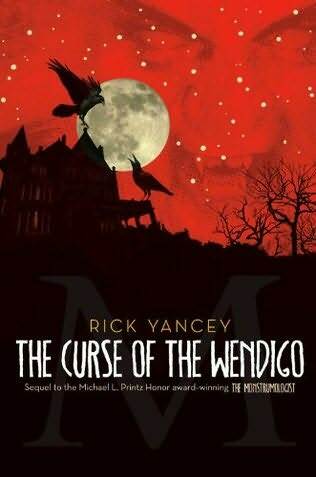 The Curse of the Wendigo, the second book in Rick Yancey’s horror-slash-Victorian The Monstrumologist series, picks up shortly after where the first book left us: Will Henry and Dr Wharthrop have just put the anthropophagi affair behind them when a letter arrives from New York City, letting the doctor know that his old mentor, Dr von Helrung, intends to make a case at the Annual Monstrumology Congress for the recognitions of creatures henceforth considered mythological. Dr Wharthrop is furious when he hears this news, as he is of the opinion that to do so is to sacrifice is discipline’s scientific rigour. Things don’t improve when someone from Dr Wharthrop’s past returns to his life and tells him that his former best friend, Dr John Chandler, has gone into the wilderness of Northern Canada in search of one such mythical creature, the Wendigo, and has not returned. So begins a journey that takes the doctor and Will Henry to the cold desolated north, as well as to the (apparent) splendour of 1880’s New York. The first section of The Curse of the Wendigo is a prime example of wilderness Gothic at its best – a very different kind of Gothic from what I’m used to reading, but one that I find truly chilling when done right. Yancey’s descriptions of the wilderness put me in mind of one of my absolute favourite books, Monkey Beach by Eden Robison (and let me take this opportunity to urge you all to read it). The myth of the Wendigo is one that’s well-suited for the harsh landscape where it originated. It evokes hunger, endless need, powerlessness before the elements, the harshness of the natural world. It’s a particularly meaningful myth to consider in a historical period where humankind’s relationship with nature was being redefined (sometimes which can perhaps also be said of our time), and Yancey takes full advantage of this. The Wendigo exists in the same world as cities of almost unprecedented abundance, and yet one doesn’t need to travel to semi-Arctic regions to find the darker side of all this splendour. As my plot synopsis indicates, The Curse of the Wendigo is concerned with the boundaries of science, with the politics and power struggles often involved in determining what is or isn’t seen as worthy of scientific attention. As I explained the other day in my review of Stephen King’s ‘Salem’s Lot, the way some fiction deals with this topic pushes all my buttons – not because I think science is flawless, but because I’m wary of the way these debates are usually framed. As a result, I feel like I have to take a step back in order to be able to engage with it fairly (as well as to drown the sound of Storm by Tim Minchim playing in my head, I confess). I found the way The Curse of the Wendigo engaged with the topic of science and its political aspects far more satisfying than ’Salem’s Lot, for a couple of reasons. First of all, there’s the historical context. Most fans of nineteenth-century fiction will known than this was a period when science was seen as having the potential to do far more than what we currently see as its role – not in terms of knowledge or technology, but in terms of replacing art, philosophy or religious as the one thing all human beings will turn to when searching for answers. It was also a time when science was appropriated for ideological purposes in ways that probably don’t differ much from what happens today, but which seem far clearer to us with the benefit of hindsight. Looking back on the roots of all these questions puts us in a better position not to throw away the baby with the bath water, so to speak, and attempt to practice more rigorous science rather than just abolish it because it’s a ‘flawed discourse’. The debate between Dr Wharthrop and Dr von Helrung lasts for the entire book, and neither side is dismissed or made to look foolish – they’re both portrayed as intelligent and rational individuals who are personally invested in their stances, as we all generally are, and thus have trouble letting go of them. The ending of the novel, which is somewhat ambiguous, contributes to this – it doesn’t delegitimize either position, and readers are allowed room to make up their own minds. One of my favourite things about The Curse of the Wendigo was that it added to the complexity of the relationship between Will Henry and Dr Wharthrop. There’s so much loneliness, need, and emotional restraint here, so much that remains unsaid between these characters, and it’s all so skilfully portrayed. Even if I didn’t love plenty of other things about this series, the relationship between the two of them would certainly be enough to keep me coming back. 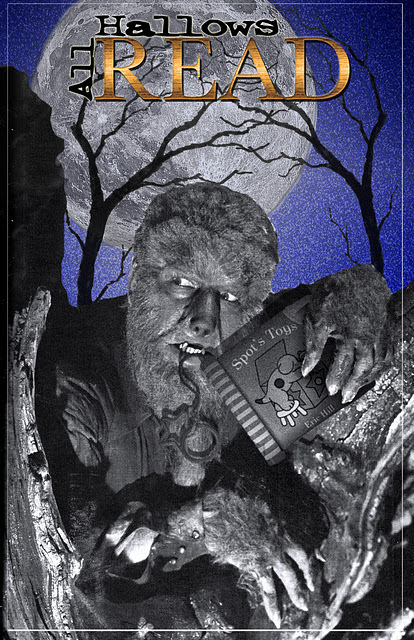 As in the first book in the series, Yancey continues to have fun by placing nods to classic horror all over the text – in this case, there’s a cameo by Algernon Blackwood and references to Bram Stoker (an acquaintance of Dr Von Helrung’s) and Washington Irving, as well as nods to other historical personalities. If there’s one thing that left me a little less than satisfied, it was the fact that although The Curse of the Wendigo had more female characters than its predecessors, they continue to play more superfluous and stereotypical roles than what I’d hoped. But the addition of Lilly Bates, aspiring monstrumologist, is certainly a start. I think I may have enjoyed The Curse of the Wendigo even more than The Monstrumologist: it’s not quite as scary and it’s perhaps slightly less gory, but it’s evocative, atmospheric, and fully engaged with ideas that interest me. What’s not to love? This is certainly one of the most interesting and sophisticated YA series currently out there – I’m so grateful that thanks to the support of readers everywhere and book bloggers such as Stephanie Reads,Ana and Thea, Bookshelves of Doom it was brought to the attention of even more readers (such as myself) and will continue to exist beyond book three. One might think my recent intimacy with starvation might have made me appreciate this cornucopia all the more, but it produced the opposite effect. This display appalled and offended me. It made me angry. As I looked about the richly appointed ballroom – the enormous crystal chandelier from England, the rich velvet curtains from Italy, the priceless artwork from France – and looked at the women glittering in their finest jewels, the silk trains of their imported gowns skimming the floor as they danced in the arms of their well-dressed escorts – and saw the waiters in their morning suits gliding through it all with groaning trains held high – I felt slightly sick to my stomach. In a tree that raised its boughs high in the trackless wilderness, a man crucified himself, his belly engorged with ice – his eyeless sockets seeing more than I, and more than these ignorant fools who drank and danced and chattered drunkenly about the latest cause célèbre. I could not put it into words; I was but a child then. What I felt, though, was this: Jonathan Hawk’s frozen entrails came closer to the ultimate reality than this beautiful spectacle. We were indeed a pitiful pair, the monstrumologist and I, bound to each other in ways inexplicable to both of us. In the Monstrumarium the beast had forced me to turn and behold “the true face” of love. But love has more than one face, and the Yellow Eye is not the only eye. There can be no desolation without abundance. And the voice of the beast is not the only voice that rides upon the high wind. It was there in every weary step the doctor took in the wilderness. It was there the night he gathered me into his arms to keep me from freezing to death. It was there in Muriel’s eye in the night their shadows met and became one. It is always there, like the hunger that can’t be satisfied, though the tiniest sip is more satisfying than the most sumptuous of feasts. I reached across the space that separated us – no farther than a foot and wider than the universe – and gathered the monstrumologist’s hand into mine. Thank you, Ana and Happy Halloween! Thank you again for having me, and Happy Halloween to you too! The Curse of the Wendigo sounds amazing! I’ll be sure to add this series to my tbr list. Great review, Nymeth! I’m impressed! Very helpful info specifically the last part 🙂 I care for such info much. I was looking for this particular information for a long time. Thank you and good luck.